And so I hit upon a 1980s cultural zeitgeist I never thought I’d have to explain to anyone. Nintendo’s 1984 arcade classic Punch-Out!! — which used richly detailed graphics for the time and dual monitors — was a masterpiece in creative arcade design. And in the 1980s, watching Mike Tyson fight (which I did a couple times on pay-per-view) was a thrilling experience. He was scary powerful. 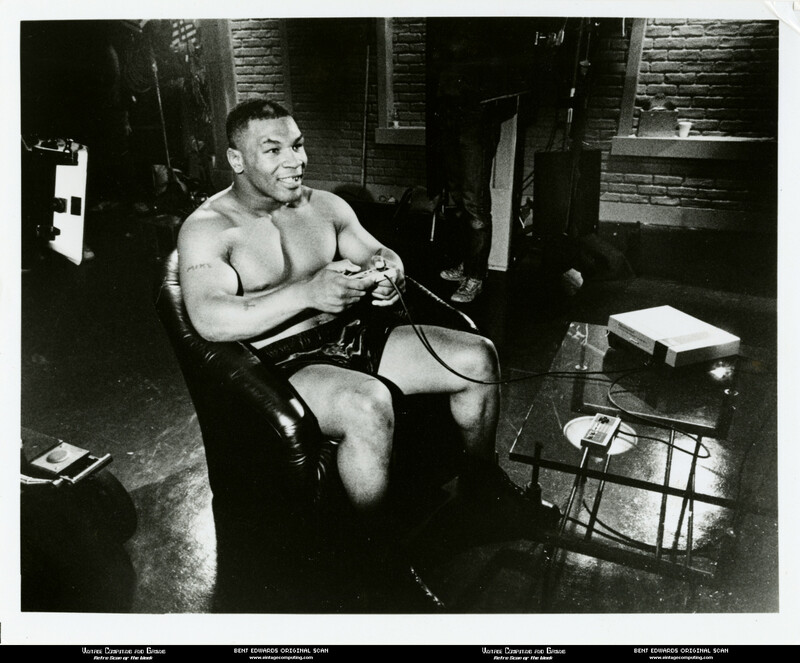 So when Nintendo combined the two together in 1987 as a game for the hottest console of the day, they cooked up the recipe for something amazing: Mike Tyson’s Punch-Out!!. Mike Tyson’s Punch-Out!! still holds a place as one of my favorite NES games. It’s dynamic, beautiful, and fun. It’s challenging, but doesn’t feel unfair. Curiously, I must have only played friends’ copies of MT’s Punch-Out!! (or we traded it) because we also bought the non-Tyson version (with Mr. Dream) Nintendo released in 1990. This photo is a promotional handout Nintendo sent to the press in 1987. I believe I own the only known physical photographic print of this image. (I’m sure there are others out there, but we don’t know where they are). Last year I sent a high-res scan of this image to The Gaming Historian for one of his YouTube features and also to Frank Cifaldi for Video Game History Foundation exhibits. So you may be seeing it more often in the future. 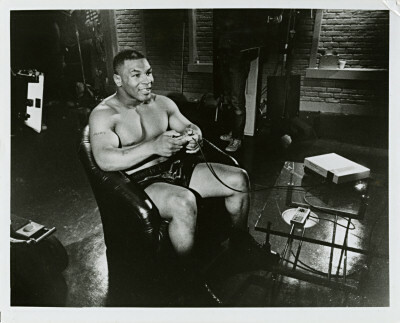 Mike Tyson, undisputed heavyweight boxing champion, has signed a promotional contract with the world’s leading manufacturer of home video game systems, Nintendo of America. Tyson will offer his name and likeness to “Mike Tyson’s Punch-Out! !”, a game which allows players to participate in a series of challenging matches, leading up to a battle against the champ himself. The Game Pak, designed exclusively for play on the Nintendo Entertainment System, will be available in October. Discussion Topic: What’s your favorite classic boxing video game? 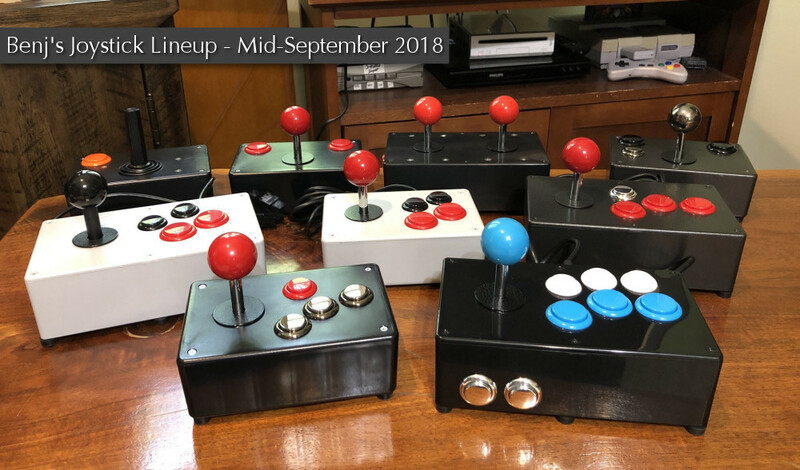 Since August 1st of this year, I’ve been building and selling custom joysticks through Twitter. This small venture has been an unexpected success. People love them, and that makes me very happy. I’ve sold about 140 so far, and I’ve built and shipped about 100 all around the world. The past few months have been a wild ride, and I’d like to tell you some about it. 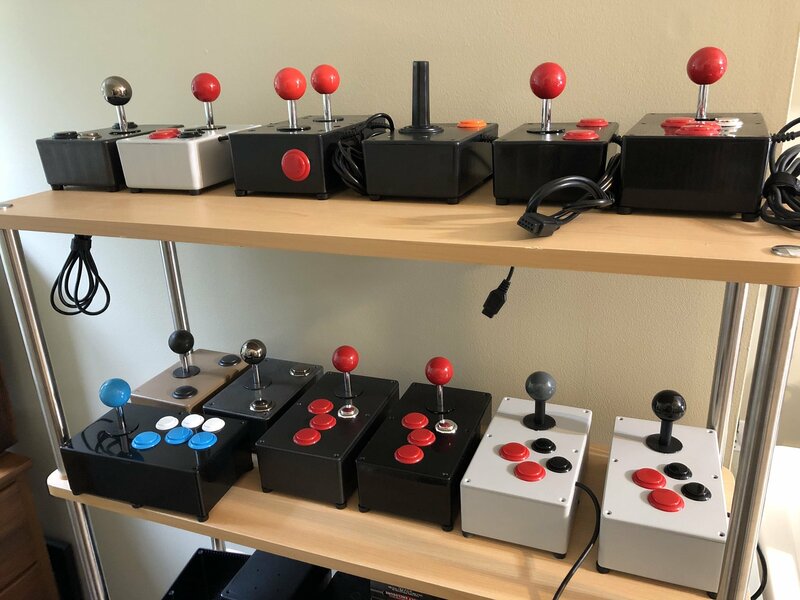 The basic concept behind every joystick I’ve made so far is simple: bring the best quality arcade parts to home consoles and computers. 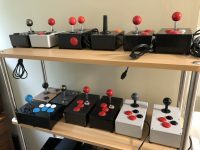 I’ve been using Japanese arcade joysticks and buttons from Sanwa Denshi, a firm that makes some of the best arcade assemblies in the world. The results have been incredible. Games I thought previously unplayable are suddenly rendered fun, like lifting some kind of fog. Mushy, worn out control pads have come between me and gaming for too long, and I had no idea. When you push a button or move the lever on one of my sticks, something happens. Every time. There is no blaming the controller for gaming failures. That extra level of accuracy brings new life to older games. Especially on platforms that didn’t have great controllers to begin with. Figuring this out has made me want to share these joysticks with everybody. But let’s take a step back and see how this all got started. 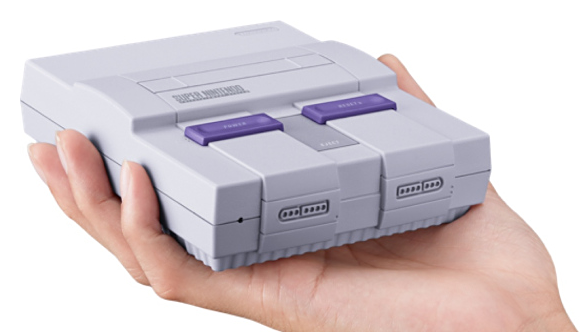 By now, all of you have probably heard about Nintendo’s upcoming Super NES Classic Edition, which the firm announced on June 26. It’s a tiny HDMI-capable Super NES that plays 21 built-in games and will retail for $79.99 US. And it’s due for release on September 29, 2017. It is also, quite possibly, intended to be a huge publicity stunt. You guys may remember the absolute fiasco that was the NES Classic Edition — Nintendo’s miniature HDMI NES with built-in games. The NES Classic edition was announced on July 16, 2016 and launched on November 11th of that year for $59.99. Of course, when November 11th, came around, shoppers snapped up the limited supply Nintendo produced within seconds on Amazon.com and at other retailers, leaving many thousands of NES fans frustrated and unable to ever buy the tiny wonder console for a reasonable price. I’m tempted to ask: Will the Super NES Classic Edition suffer the same fate? But this isn’t the right question. The question should be: Is the launch and availability of this new product going to make a mockery of Nintendo’s cultural legacy? I believe this Mindscape flier came packed with Days of Thunder for the NES. I am not a huge fan of the games depicted here aside from 720 and Gauntlet II, both of which are pretty good Atari Games arcade ports. And while M.U.L.E. is a favorite of mine on the Atari 800, I am not a big fan of the NES version. It’s nice that it uses the Four Score / Satellite four player adapter though (Gauntlet II does as well). Discussion Topic: What’s the best four-player game for the NES? The upcoming NES Classic has its first high-end competitor. Just today, Seattle-based Analogue is announcing the Analogue Nt Mini, a miniaturized version of its videophile-grade NES-compatible console that debuted earlier this year. The intention, according to Analogue founder Christopher Taber, is to go head-to-head with the NES Classic console from Nintendo that ships in November. It will not be undercutting the NES Classic in price, however. This little beauty will cost you $449. Unlike the earlier Analogue Nt, which was partially made out of recycled parts from authentic Nintendo Famicom circuit boards, the Nt Mini utilizes FPGA technology to simulate the authentic NES chips in a smaller package. The Mini also includes RGB+HDMI output by default (HDMI was an upgrade option for the original, limited-edition Analogue console) and an 8Bitdo wireless NES controller and Retro Receiver for wireless play. It plays games off of original NES and Famicom cartridges. Despite its attention to built quality, the Analogue Nt Mini is a very expensive proposition — especially when you can buy a working original NES on eBay for anywhere from $40-$100, and Nintendo’s own HD NES Classic will retail for $59.99 (of course, that model will only play 30 built-in games). And if you think $449 is expensive, keep in mind that this is the same company sold a 24K gold version of the first Analogue Nt for $5000. So much like buying a $200 bottle of wine, cultural cachet is a big part of Analogue’s marketing angle. I will try to get my hands on an Analogue Nt mini for a review and see if that price can possibly be justified. Until then, Analogue is opening up its site for Nt Mini pre-orders today if you’d like to dive into boutique NES waters head first. It’s amazing to me that it’s 2016 and the the NES console market is heating up in ways I never thought possible. (We’ve come a long way from the Generation NEX, which inspired me to launch this site back in 2005.) Between this new unit from Analogue, Nintendo’s NES classic, and RetroUSB’s AVS — a $180 HD NES remake which I intend to review soon — I can see that I am going to have a fun and busy fall. The games shown here aren’t particularly well noted for being classics, but I am very fond of Big Bird’s Hide & Speak, a fun game for small children which features impressive sampled voice work by Caroll Spinney. I was older than the target audience when it first came out, but I have played it with my youngest daughter a number of times over the years, and she loved it. Discussion Topic: Have you ever played any educational games on the NES? Vintage computing and retrogaming news small enough to eat. I’ve recently received a big influx of news, announcements, and press releases, so I thought I’d bring Newsbits out of cold storage and use it to share everything all at once. A group of former employees from the Minnesota Educational Computing Corporation (MECC) recently donated an extensive collection of materials to The Strong museum documenting the history of the pioneering company from 1973 to 1996. The collection includes hundreds of pieces of software, internal documents, and press clippings. Brock Kyle recently let me know that his essential Apple info site is turning 20 this Saturday. Quite an accomplistment! Established in 1996, EveryMac.com is the complete guide to every Mac, iPod, iPhone, iPad and Mac clone in the world, with technical specs, configuration details, system identifiers, performance benchmarks, and global pricing info. This 100 minutes long documentary about the Atari story will feature a list of unreleased interviews with the key people of these events, including a very rare one with Warner VP Manny Gerard and a unique one with Atari CEO Ray Kassar, the man held responsible for Atari success and the video game industry crash at the same time, who never appeared in a documentary before. My name is Gaming Jay. I’m a retro gamer who started a challenge this past year to play through a book called ‘1001 Video Games You Must Play Before You Die.’ Each week Iâ€™ve been playing 2 games and recording my gaming sessions and uploading them to YouTube. I have also recently developed a new website to document my journey with written summaries to supplement my YouTube videos. I created Famicam64, an 8bit RetroGaming style Camera app. Famicam64 lets you take photos with 40+ real-time filters that emulate the nostalgic look of retro computers (and games) of the 80s and 90s. CGA, EGA, VGA, Hercules and old PC graphic modes are all there, as well as style emulating home computers and handheld consoles (C64, Spectrum or Gameboy etc. etc.). The Secret History of Mac Gaming is the story of those communities and the game developers who survived and thrived in an ecosystem that was serially ignored by the outside world. The work draws on archive materials as well as 60+ new interviews with key figures from Mac gaming’s past. Forrest M. Mims III is a trusted name in the electronics world for good reason: his charming and engaging texts have drawn millions of people into the world of electronics for the first time. I am bringing some of those hand-drawn circuits projects to life by creating an exquisitely designed series of finely crafted and highly detailed boards. These are the Circuit Classics. I wanted to show this to you because I feel this piece is truly unique and original to me. I got my start by replicating your NES DVD player and then moving on to putting my own twist on the NES coffee table, and now I think I have created an original design. I’ve just completed an art project that was inspired by Robert Tinney’s painting “Computer Engineering” for Byte magazine. That’s the one with a train chugging around a printed circuit board. I made a printed circuit board that resembled the one in the painting, photographed it, and Photoshopped a picture of an HO scale model train onto it. The Nintendo Entertainment System turned 30 years old in the US yesterday — well, according to Nintendo, anyway. That date is still a little fuzzy, in my opinion. Still, it’s close enough. When the NES turned 25 (exactly five years ago today — creepy! ), I wrote a few features about this classic system like NES Oddities for Technologizer and a NES workbench teardown for PCWorld. This year, I have done nothing to celebrate except scan this NES Zapper. It’s a beaut. Just a few days ago, the designer of the NES hardware revealed that the NES shipped with the Zapper because “Americans in general are interested in gun.” Indeed they are! In 1989, Nintendo changed the dark grey parts of the Zapper to “blaze orange” to meet new US Federal regulations about toy guns. That regulation involved required orange plugs or paint at the tips of the barrels of realistic or imitation toy guns. The Zapper isn’t exactly a realistic toy gun, but acting with its usual overabundance of caution, Nintendo went way beyond a barrel plug. Either way, I am proud to say that, to this date, no one has ever been shot and killed by a NES Zapper. P.S. In January, I scanned a line drawing of the Zapper from the NES manual. You may enjoy that as well. Discussion Topic of the Week: Do you think someone could rob a bank with a NES Zapper? What about in the 1980s? It’s worth emphasizing that Sega is comparing its console to the 8-bit NES here, and not the Super NES — Nintendo’s 16-bit machine had not yet been released in the US, allowing Sega to get a jump on the next generation in the American market. Discussion Topic of the Week: What year did you first get a Sega Genesis? What were your first games for it? It’s not a grill, but it’ll do. Discussion Topic of the Week: What’s your favorite boxing video game of all time?